Red Jasper Worry Stone - For Stability, Stamina And Strength, Genuine Gemstone, Perfectly Cut And Polished, Fits In Palm | BUDK.com - Knives & Swords At The Lowest Prices! Since time out of mind, people around the world have used worry stones to soothe away stress and negativity. 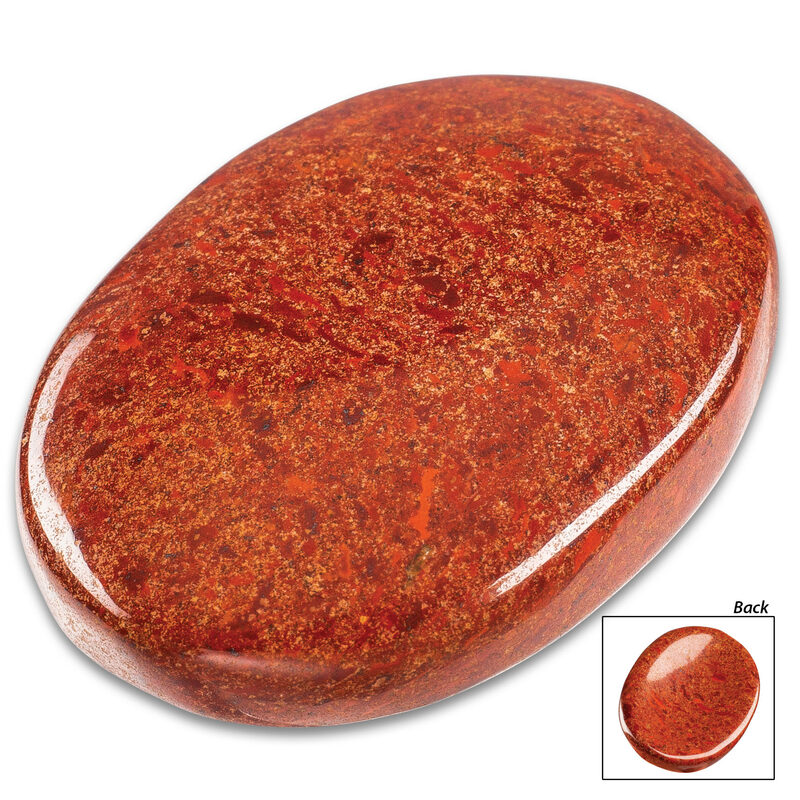 Our Red Jasper Worry Stone was expertly crafted of genuine red jasper stone and was polished to a smooth texture. This gemstone is known for its grounding properties, which creates a strong connection to the earth that promotes emotional equilibrium. It is also associated with strength, stability, stamina and will boost your spiritual energy. 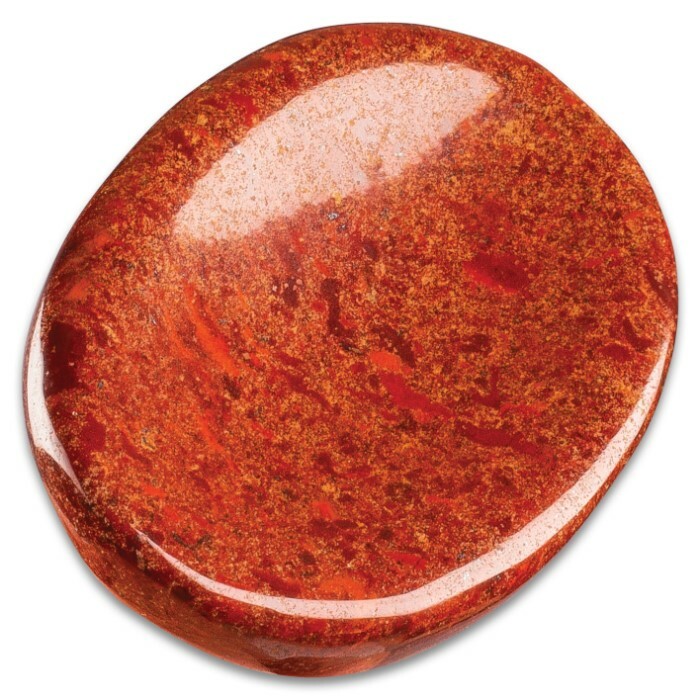 Rubbing this stone when you need a deeper insight into a problem is exactly what this red jasper gemstone was made for!